Since April the 30th 1987 Floyd Sweet has had a device to enull our dependance on fossil fuels. Like most of the R and D principles mentioned in this section, Floyd sweet's device can also be catagorised in the energy suppression section. Tom Beardon has perosnally witnessed and video taped the device working. We are dedicating resources to replicating Floyd Sweets Vacuum Triode Amplifier. Floyd named his invention the Space Quantum Modulator but was later renamed to the Vacuum Triode Amplifier by Tom Bearden. This will be an on going project and we hope to get some good results out of the project. All information will be public domain and public feed back is encouraged. "There is suppression launched against any free-energy inventor who succeeds or is very close to succeeding." - Ret. Lt. Col. Thomas Bearden. The late Floyd "Sparky" Sweet created a breakthrough magnetic solid-state energy generator. For complex reasons, he did not develop his device into a commercially viable product. However, as a magnetics specialist with a distinguished industrial career, Sweet was not a man whose technical claims could be easily dismissed by critics. Sweet's story is important for three reasons. First, creditable witnesses saw his invention convert the invisible energy of space into useable amounts of electric power without fuel, batteries, or connection to an outlet. Second, he was subjected to the same kinds of harassment that the inventors we met in Part I had to face, including threats on his life. Third, and most important, Sweet's research has inspired the work of other space-energy inventors, some of whom may well produce a useful stationary-magn et device. Sweet stayed with GE after completing his education. He worked in the company's Schenectady, New York, research and development center from 1957 to 1962 a dream job in which he could use a well equipped laboratory to follow his hunches on intriguing magnetics projects. That line of research fascinated him. In 1969, he obtained a master's degree from the Massachusetts Institute of Technology. What Sweet wanted to do was to keep the magnet still and just shake its magnetic field. This shaking, in turn, would create an electric current. One new-energy researcher compares self-oscillation to a leaf on a tree waving in a gentle breeze. While the breeze itself isn't moving back and forth, it sets the leaf into that kind of motion. Sweet thought that if space energy, discussed in Chapter 4, could be captured to serve as the breeze, then the magnetic field would serve as the leaf. Sweet would just have to supply a small amount of energy to set the magnetic field in motion, and space energy would keep it moving. 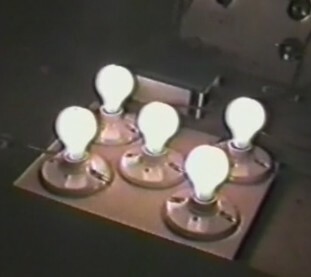 By 1985, he had come up with a set of specially conditioned magnets, wound with wires. To test his device, Sweet discharged a current into the wire coil around the magnet. As a result, the coil disturbed the magnet's field. It was as if Sweet had snapped the magnet's Held out of position to set it in motion. Sweet then connected a twelve-volt lightbulb the size used in flashlights to the coil. If the device was producing electricity, the bulb would light.The results were more than Sweet expected. A surge of power came out of the coil and there was a bright flash from the bulb which had received so much power that it melted. Years later, Sweet remembered that Rose had seen the flash and called out, "What did you blow up now?" The technology could sometimes do spooky things. Walter Rosenthal of California, a test engineer who has helped many struggling inventors test their devices, recalls an incident that Sweet had told him about. The incident occurred while Sweet was trying to document his antigravity experiment: "The machine's weight was observed [to be] decreasing with an increased load [of lighibulbs], in a quiet orderly fashion, until a point was suddenly reached when Floyd heard an immense sound, as if he were at the center of a giant whirlwind but without actual air movement. The sound was heard by Rose in another room of their apartment and by others outside the apartment." This experience has been confirmed by a Canadian space-energy researcher, who heard a similar whirlwind sound during one of his experiments. Another unusual effect of Sweet's VTA was the fact that it produced cold, instead of the heat usually generated by electric equipment. The inside of the VTA was as much as twenty degrees cooler than the surrounding air. The greater the load put on the device, the cooler it became. When VTA wires were accidentally shorted out, they flashed with a brilliant burst of light, and were found to be covered with frost. One time, a brief contact with the equipment froze some of Sweet's flesh, causing him pain for ab out two weeks afterward.Sweet discovered other interesting effects. But development of the VTA was slowed by trouble with materials and processes, and by financial entanglements. Sweet had to find magnets that could hold the self-oscillation effect. That required magnets with force fields that didn't vary much across the face of the magnet. Also, standard mathematical calculations didn't work with the VTA. In 1991, Sweet produced a math theory for the VTA an engineering design model that showed how factors such as the number of turns of wire in the coils affected the device's behavior. Producing this theory was an important step. Without it, other researchers would not reproduce Sweet's work. The science establishment requires that an invention be explained by accepted laws of physics, and so much output from so little input seems to violate those laws, which do not allow for such a thing. However, Sweet and bearden recognized that these laws apply to ordinary, or closed systems, systems in which you cannot get more energy out than what you put in. Because the VTA allowed energy to flow in from the vacuum of space, it was not operating in a closed system, but in an open one. (See Chapter 1 for a discussion of closed versus open systems.) A VTA operating in the flow of space energy is like a windmill operating in the wind. Both receive excess energy from an outside source. But since neither operates m a closed system, neither violates the laws of physics. In 1991, a paper by Sweet and Bearden was read at a formal gathering of conventional engineers and physicists in Boston. Neither Bearden nor Sweet were able to attend Bearden was called away on business, and Sweet was recuperating from heart surgery. Walter Rosenthal went instead. The paper said that the VTA had the signs of being a true negentropy device, or a device that was able to turn random space energy into usable electricity (see Chapter 4). How did this work? It helps to think of a handful of marbles on a tabletop. You can either roll them all in one direction, or you can scatter them in all directions. If you scatter the marbles into a reflector, the reflector will roll them back to you in an orderly fashion. Although the language they used was quite technical, what Sweet and Bearden basically said is that the VTA was able to take energy "marbles" and keep rolling them back and forth, building energy as they went along. After Bearden's paper was read, Walter Rosenthal stood up and startled the audience of skeptical engineers: "I have personally seen Floyd Sweet's machine operating. It was running . . . those small motors you saw in the video. It was jump-started with a ninevolt battery. There was no other electrical input required.... There was no connection to the power line whatsoever." And, no, there were no moving parts. Sweet said that afterward he called the FBI in Los Angeles. He believed that two agents staked out his house for a couple of weeks, but that nothing came of it. Around the time of the photo incident, Sweet was getting telephone calls and death threats from strangers. He said there were "people calling at all hours. The police put a tap on my line and over a six-month period, over 480 calls came in from all parts of the United States. But they were from pay stations." Thus, the police could never find the callers. Early in the VTA's development, someone broke into Sweet's apartment and stole his notes. He then began to code his notes. Sweet temporarily stopped work on his invention, out of concern for his ill wife. "They must have known I stopped; they didn't torment me any more." The automotive industrymay not have been the only potential investor that Sweet was dealing with. At the time of his death, there was some confusion concerning the rights to Sweet's hardware and papers, held by Sweet's second wife, Violet. Bearden says that Sweet signed a number of agreements with a number of backers, and that some of these people have claimed rights to the invention. At least two of these investors say they want Sweet's laboratory equipment, inventions, and technical papers to go into a p roposed Floyd Sweet Museum so that other researchers could study the technology. Walter Rosenthal is trying to help all parties work towards an agreement. Despite Bearden's urging, Sweet never had the VTA certified by independent testing. "He feared that his life would be snuffed out immediately if he even attempted such a thing," Bearden says. Sweet also frustrated his fellow researchers by keeping secret his most important process how he conditioned the magnets that are at the heart of the VTA. Did he pump the magnets with powerful electromagnetic pulses to shake up their internal structure? He refused to give details, and said it wasn't likely that other researchers would learn his secrets: "The odds against them finding out is like trying to open a safe with 100 dials set from zero to a hundred, without knowing the combination." Many engineers possess the capacity to ressurect this technology, and it is Panacea's goal to assimilate all into a resourced backed environment in the Panacea proposed granted research and development center to study and perfect Floyd sweets technology. Panacea will pledge grants and engineers support towards this R&D once granted. If you're a member of the public or a scientific group who can aid in grants for the center or help the the open source engineers communites please contact Panacea. Next is techical infomation by Tom Bearden which will be used by panacea to help up grade existing faculties.